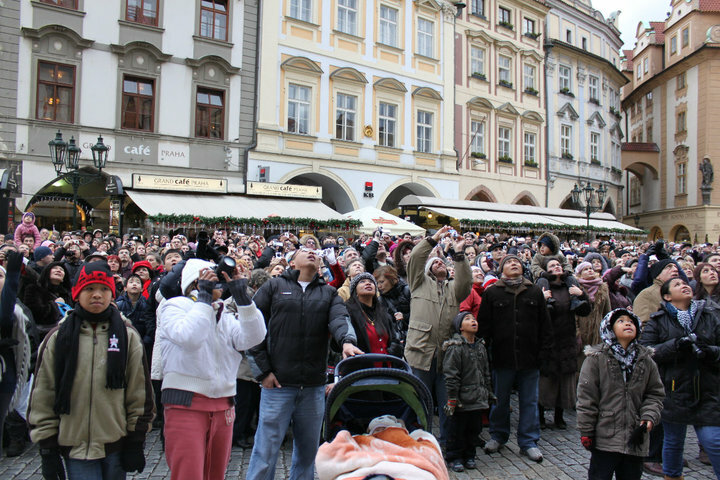 It’s a bird, it’s a plane … it’s, it’s … it’s Prague Orloj? So what exactly everyone here is looking up for? It’s not just the Prague Castle, which is the largest castle in the world according to Guiness Book of Records. 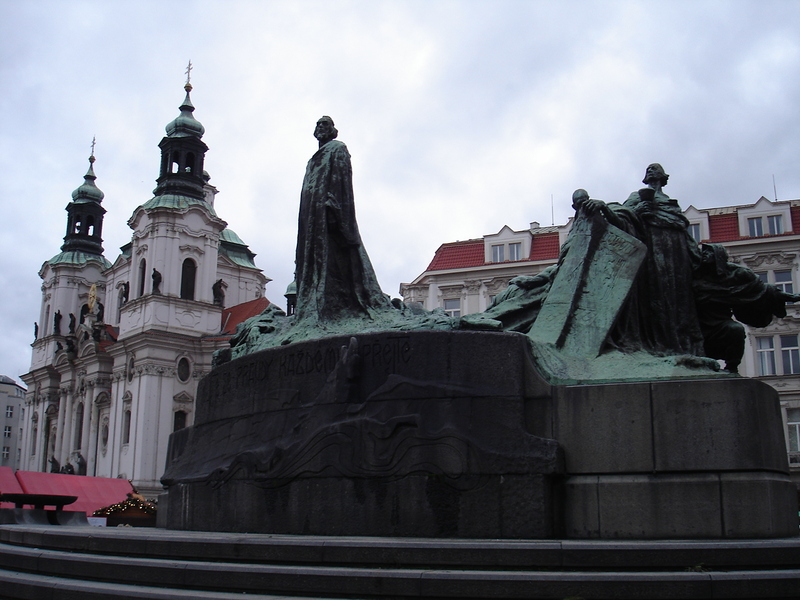 Not only the Monument of Jan Hus, who resembles Jesus according to wikipedia. It’s right smack in the middle of Old Town Square but not quite THE center of attraction that everyone might get their neck stiff. Nor the street musician sitting in front of Hard Rock Cafe with two softdrink bottles on his side. No, no, not the food. People just wait in line for that. People gather around the many interesting and inviting food choices in Prague. 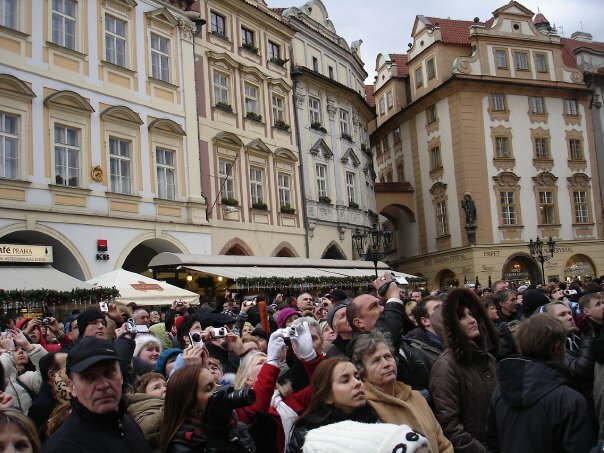 But the Old Town City Hall gets densely crowded by the hour for more than Trdelnik, sausages or any other beer delicacies. 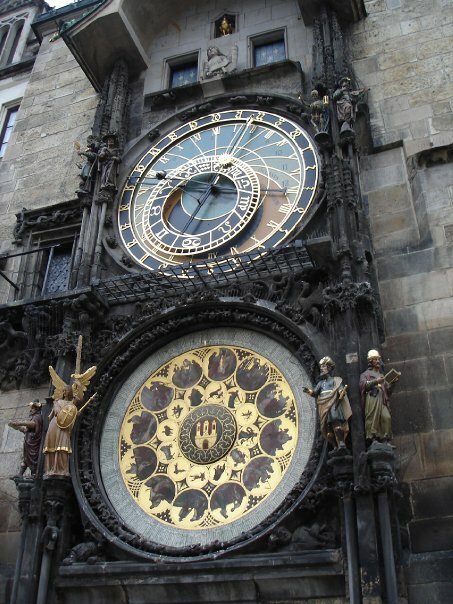 Cutting through the chase, it’s Prague Orloj or Prague Astronomical Clock. The four figures flanking the clock are set in motion at the hour, these represent four things that were despised at the time of the clock’s making. From left to right in the photographs, the first is Vanity, represented by a figure admiring himself in a mirror. Next, a stereotypical Jew holding a bag of gold represents greed or usury. Across the clock stands Death, a skeleton that strikes the time upon the hour. Finally, the Turk tells pleasure and entertainment. Well if you ask me, I think I should get more onlookers than that clock. Okay okay, I stay humble. 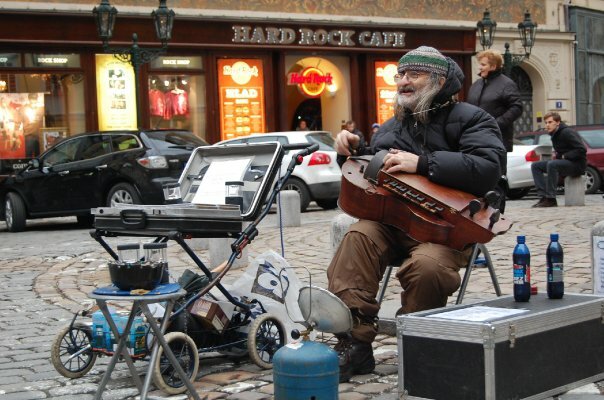 I think it’s the street musician that should get all the attentions not just in Prague, but in the world. Thanks for subscribing tita buds. 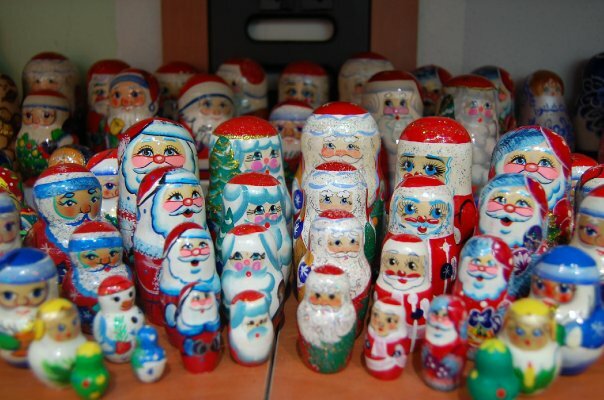 Did you visit cesky krumlov too? Oh no. We made immediate day trips to most of our Europe visit except for Paris. Much ado about…a clock? You do know how to build up suspense. I was at the edge of my seat scrolling down. In all fairness to the clock, it does look beautiful (for lack of a better word). No, I didn’t know about the statue resembles Jesus. You’ve changed the looks in your blog. I like it! It’s much easier to navigate your blog now. My city!! :) Hope you liked it. Regards from the Czech Republic.